This Ceramic Coated Pan is a really wonderful product to have in your home, especially if you are cooking the Dog Cancer Diet. The ceramic coating ensures that you don't have to use a lot of fat to keep your food from sticking to the bottom-- very little fat is recommended in the diet. 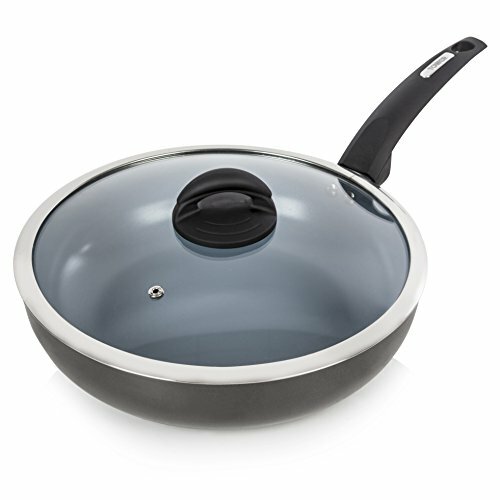 One of the great things about this pan is that it comes with a lid-- which helps to ensure that the meat or food is cooked evenly.